Members of CSC having been supporting the Special Olympics since 1982 as volunteers. We are Ski Partners and Course Workers for the 300+ Athletes each season. It's a great experience for our Ski Club Members. Once you have done it you will look forward to it every year! 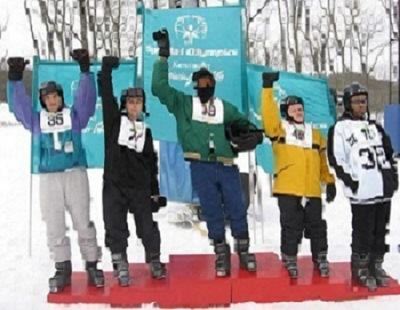 Many of these Athletes have never been on skis before, to teach them in three sessions to negotiate a slalom course and see them win a medal - well you can't imagine what a great feeling that is for the Athlete and everyone involved. We need volunteers to help both on and off skis. You get a lift ticket if needed and lunch and go home with a warm heart. We especially need help on the weekday dates. 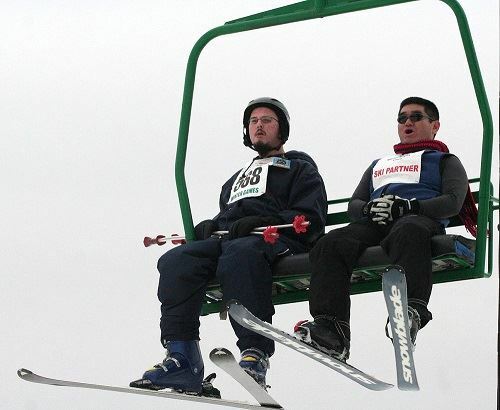 Special Olympics are held at Perfect North Slopes, Lawrenceburg, IN. All events are listed below. To sign you up, I need your full address and phone numbers. Also, please indicate your ski level - expert or intermediate skier and whether you have previous experience as a ski partner or course worker. Winter is almost here! We need ski partners and course workers for any of the 7 days on the snow at Perfect North Slopes again this year in January. This is one of the most rewarding things you can do and it involves skiing! See your athlete win a medal! Also, these are all skiing events so we can't use snowboarders as ski partners. Lots of volunteer spots for non-skiing helpers. We are always short of help on the weekdays. Ski Partners must be at least 16 years old and should be intermediate or better skiers able to give encouragement and direction to the Athletes. There has never been a better reason to take a few days off work to go skiing! All events are at Perfect North Slopes - East Lodge. Thanks in advance for your time to help all these great Athletes! To sign up contact Rich Brown at a CSC meeting or at wforich at gmail.com or 513-886-20 six two and tell him the days you can help, full address and phone numbers, expert or intermediate skier, do you have previous experience as a ski partner. Or specify Course Worker/off ski helper. Click here for a video of the Winter Games.